Combining real Oklahoma urban legends with a fictional plot line of a greater mystery, Tales Unveiled follows two writers with different pursuits as they team up to research stories in their city. Journalist, Sam Saxton, (voiced by Dennis Spielman) meets up with fiction writer, Geoff DeGroot, (voiced by Jeff Provine) becoming friends at a ghost tour and work together to unveil local hauntings. Dennis has been toying with the idea of a fictional podcast involving local ghost stories for awhile and partnered with Jeff, who has written books and given tours on the subject. 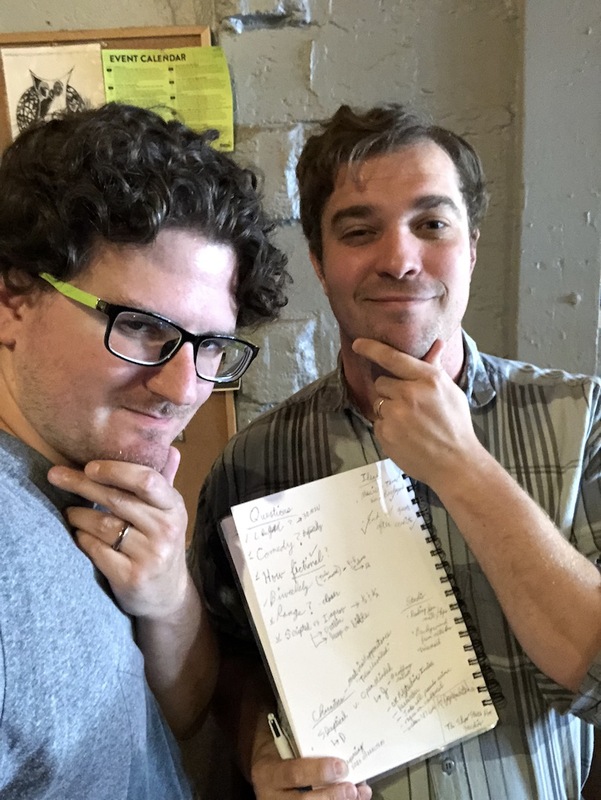 The two had a productive first meeting at Gray Owl Coffee on May 17, 2018, where they outlined the first season, noted ideas for the second and third seasons, worked on their characters, and fleshed out the series in general. Stay tuned as we are in production for the first season of our new podcast. For updates, follow this site or the podcast on social media via Facebook, Instagram, and Twitter. Tales Unveiled is a production of The Show Starts Now Studios.